Active Rock - North American Broadcasting Company Inc. Active Rock listeners are likely to hear a mix of contemporary and classic artists, such as Metallica, Shinedown, Chevelle, and Five Finger Death Punch. 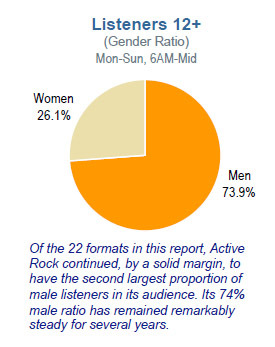 Active Rock boasts a higher proportion of male listeners than any other format in this study, next to All Sports.